SHOCKWAVE’s extensive product line of marine suspension seats is the end result of suspension building experience dating back to 1965. SHOCKWAVE is a Canadian company with a global presence. We design and manufacture marine suspension seats. It's our commitment to innovation, rigorous testing and safety standards that protect boaters from the shock of wave impact. Our team works with passion and dedication. With state-of-the-art technology, superior design and quality components, we make the open-water accessible to customers. We work hard to find the best solutions to offer boaters an experience they would never have imagined. As avid boaters ourselves, we understand what our customers value most and we create the best marine suspension seats in the world to provide a safer, more comfortable and exciting ride. We like to think of SHOCKWAVE as providing boaters access to open-water that otherwise might not have been possible. Customisable biomechanic protection increases impact mitigation. “Constant or single impacts, shock blasts or vibrations can reduce proficiency and cause fatigue, pain, injuries or even death.” In extreme conditions, a crew can be subjected to up to 17Gs slamming load and sideloads of 4G - it doesn’t take a genius to work out that’s not a sustainable situation. 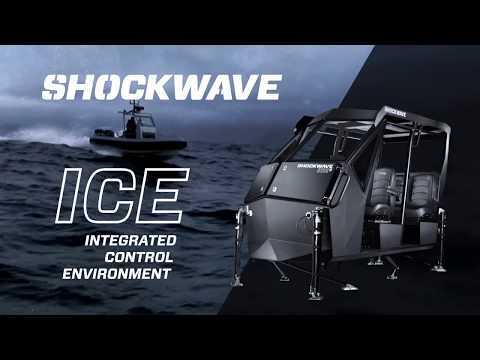 Canada’s Shockwave Seats has recently launched a new marine suspension module for the commercial marine industry – the Shockwave S5, which is suited to a variety of applications.